Education has a massive demand for technology and this week it’s Bett, the annual technology exhibition, at ExCel in London. Knowing that it’s a good day out, and on the hunt for some new tech, I was only too happy to go. There’s a load of amazing technology there right now. Clearly there’s massive for demand for some of it – user filtering and tracking, audit management, security – and there’s less demand for other stuff – outdoor beanbags anyone?. 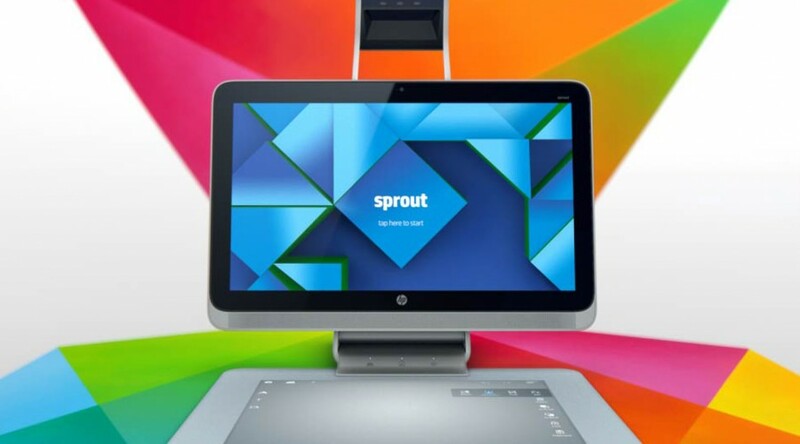 One thing that really jumped out when we demo’d it was the HP Sprout Pro. This is an upgrade to the consumer version of the HP Sprout which has been out for a short while but the Pro version adds sheer processing power to the mix with a 6th gen Intel i7 processor, DD4 memory and an upgraded gfx card with DDR5 ram onboard. The immersive tech remains the same across the range however. It’s one of those devices that you have to see being used to really understand how awesome this tech is. We were run through several uses for various lesson plans. The obvious use is for design tech where students could use the 3D scanning tech to scan in an object, use that as a base for their own work, and then render onscreen or print out the final work to a 3D printer. All this is done at the table top, without any separate 3D scanner hardware. HP also demo’d a superb stop motion animation example where you can use the overhead webcams to create stop motion animation using drawings or digital assets as well as real world physical objects (either imaged using the webcams, or 3D scanned using the scanning tech). As the device tracks your hands on the tabletop, all of this can then be manipulated in real time. The possible applications of the HP Sprout in the education or business sectors are immense, particularly in the engineering sectors.